Disney Channel has renewed their freshman comedy series Raven's Home for a second season. 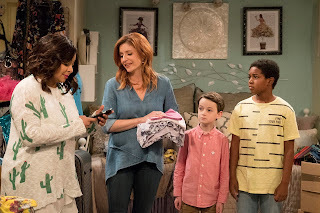 The series, a sequel to 2003's That's So Raven, stars Raven Symone and Anneliese van der Pol as their That's So Raven characters that are now mothers, 10 years after that series wrapped. This isn't a surprising development as the series is Disney Channel's #1 show of its current Friday line-up, recently pulling a 0.27 in the 18-49 ratings. This is a correct prediction for the TV Ratings Guide. Check out the ratings for all of its first season below. What do you think of this news? Are you excited for more Raven's Home? Let us know in the comments below.